Welcome back, Donist World Denizens! For those of you new to our site, I’m Donist, and I am joined by Donist World CFO the Reverse Obie* (my friends’ Boston terrier whose fur recently swapped colors) and by our marketing director / administrative assistant / party planner / princess of pizza pizzazz Tulip (my dog, Obie’s sister). It’s a weird week of highs and lows (mostly lows) this week, Denizens, but we’re gonna do this thing with what we have, and we’re going to do it right, by golly. We have to start with the most devastating news of all: the loss of comic book master creator Darwyn Cooke, whose work has enchanted this Donist for years. I will talk a bit more about that near the end. Otherwise, it’s a quiet week this week with only two books in our pull as we were once again shorted on The Sixth Gun (I’m now behind two issues) and Chilling Adventures of Sabrina. Needless to say, the puppy executive team is crunching the numbers and calculating the impact to the Donist World Pleasure Principle quotient to determine if maybe going digital is the way to go. 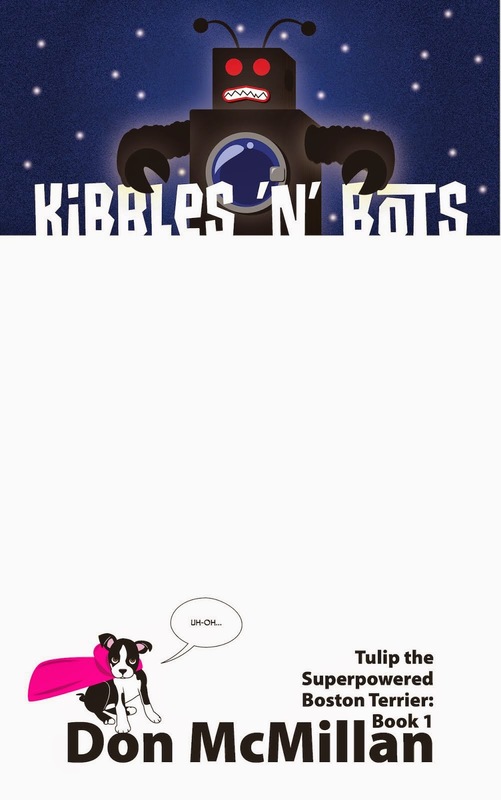 Thankfully, there was some positive this week: I finished the third draft of the followup to Kibbles ’N’ Bots. Now, I just need to adjust a pacing issue near the action-packed ending before coming up with a title and developing a cover. I also finally replaced my eight-year-old computer, which should help things tremendously. Anyhow, take a moment of silence for Darwyn Cooke, check out some of his gorgeous work — both comics and animation — and most of all read some great comics. Take care. Thank you for reading! Power Man and Iron Fist #4 - Written by David Walker, illustrated by Sanford Greene, colored by Lee Loughridge, lettered by VC’s Clayton Cowles, published by Marvel Comics. Power Man and Iron Fist’s old secretary from their Heroes for Hire days, Jennie Royce, is angry and resentful; she’s also now a powerful demon filled with an immense blood lust. Luke and Danny need to act quick if they are to free their friend from the cursed amulet before someone gets seriously hurt. Thus ends the first arc of Power Man and Iron Fist. 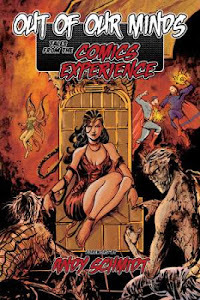 The comic established itself as a lighter, more humorous superhero book that, despite the muted coloring scheme, offers a glimmer of hope where most of the capes and tights fare on the stands are intent an exploring harsh realities, infighting, and oftentimes death. Many of the jokes found in the first three issues continue to run their course with a nice payoff by the end. But even though there are some beautifully choreographed fight scenes, one of my favorite parts of this issue was the flashback scene of Jennie and Black Mariah’s growing friendship during their time together in prison. Each flashback breaks up the action for a moment to remind us how we got to where we are and what it is that will ultimately free Jennie. The jokes are plentiful, the fighting intense, but it is ultimately the relationships (Jennie and Black Mariah, and Luke and Danny) that won me over. The story-crushing ads were obnoxious, especially the Luke Cage in “A Close Shave,” but so it goes with Big Two books these days, where ads trump story cohesion. Walker’s story is fun, and Greene’s art stunning, and those looking for a superhero book not steeped (currently) in any sort of event or crossover or convoluted history, then this is the comic for you. At only four issues in, catching up should not be that big of a deal, or if you must, you can wait until October for the trade, but why do that to yourself…you should “fiddle faddle” check it out. RECOMMENDED! Jughead #6 - Written by Chip Zdarsky, illustrated by Erica Henderson, colored by Andre Szymanowicz, lettered by Jack Morelli, published by Archie Comic Publications, Inc. Jughead’s given up the fight against Principal Stanger and his super secret high school spy program? Whatever will it take to bring our hero back to the fray? Well, I guess the best way to lessen my irritation over having to wait for three comics that should have been in my pull is to spend some time with the more upbeat and humorous books; Jughead does not disappoint in lifting my flagging spirits. Zdarsky continues to dish out the humor, while Henderson’s beautiful linework and solid storytelling brought many laugh out loud moments worthy of rereading — mind-bent Moose and dance-machine Dilton (go Dilton!) being my favorites. The great thing is that with all the goofiness and daydreams and sight gags, the creators deliver a satisfying ending that made me smile once the bad guy finally got what’s coming to him. Jughead’s my favorite character from the Archieverse. He does his own thing, he thinks in ways that confound those around him, he’s food driven, and he’s fiercely loyal to his friends. He’s a zen genius, and I kinda want to be more like him. I ain’t lyin’. Whether you are longtime fan of the Archiverse, or you’re relatively new to the gang from Riverdale, Jughead is a heck of a lot of fun, and something you should definitely check out (trade comes out late July). While you’re at it, check out the new and amazing Archie, as well. RECOMMENDED! Uncanny X-Force - Written by Rick Remender, illustrated by various artists, published by Marvel Comics. Wolverine decides that the best way to prevent monsters from destroying the world is to preemptively strike those who pose the largest threat, beginning with the latest incarnation of Apocalypse. Gathering like-minded mutants (Archangel, Deadpool, Psylocke, and Fantomex) to become a secret group of super assassins, Wolverine and his X-Force set out to right the wrongs before they ever happen. 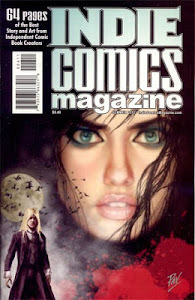 If you’ve been reading Donist World for any length of time, then you already know that Rick Remender is a creator who clearly falls under the category of “heavenly” with the MANY comics I’ve reviewed on this site over the years. I have mostly read Remender’s creator-owned work (Fear Agent, Low, Black Science, Deadly Class, Tokyo Ghost), but after Marvel had a “half off” sale at Comixology, I decided to finally pull the trigger and get this series which I have had my eye on for quite some time. Thank goodness I did. I plowed through the entire series in just under two weeks; I couldn’t put it down. I’m not going to go too far into the story other than to say that things go badly for our heroes, and many of their actions have horrendous repercussions that threaten to destroy them all. The story is solid and tremendously compelling for the whole of the series, with most of the art working well throughout — and some not so much, but whatchagonnado. The story and character work, however, make up for any of the few, jarring artistic shifts. If you like any of these characters — I am now a Fantomex fan — then you will absolutely love Uncanny X-Force. Remender’s entire run is covered by either seven trades, or by the somewhat recently released two volumes of the Complete Collection, and is sure to please Remender fans, dark superhero fans, and fans of finely crafted comics all the same. VERY HIGHLY RECOMMENDED! Darwyn Cooke Dies at Age 53 - After already losing two of my biggest heroes so far this year (David Bowie and Prince), the news of Darwyn Cooke dying at such a young age was a devastating blow that came completely out of the blue. I continue to be floored by the beauty that his storyboarding helped produce for both Batman: The Animated Series and Superman: The Animated Series, but it’s his work in comics that has enchanted me since I first discovered his art in Catwoman. From there, I went on to gather up Batman: Ego, The Spirit, The Twilight Children, but it is his work on DC: The New Frontier and his masterwork Richard Stark’s Parker books that showcase his complete understanding and mastery of the comic craft. So, if you are not familiar with Cooke’s work, then please remedy this, by picking up some of this writer / artist’s work, and you will instantly see why the man is so thoroughly respected in the comics world. He will be sorely missed.